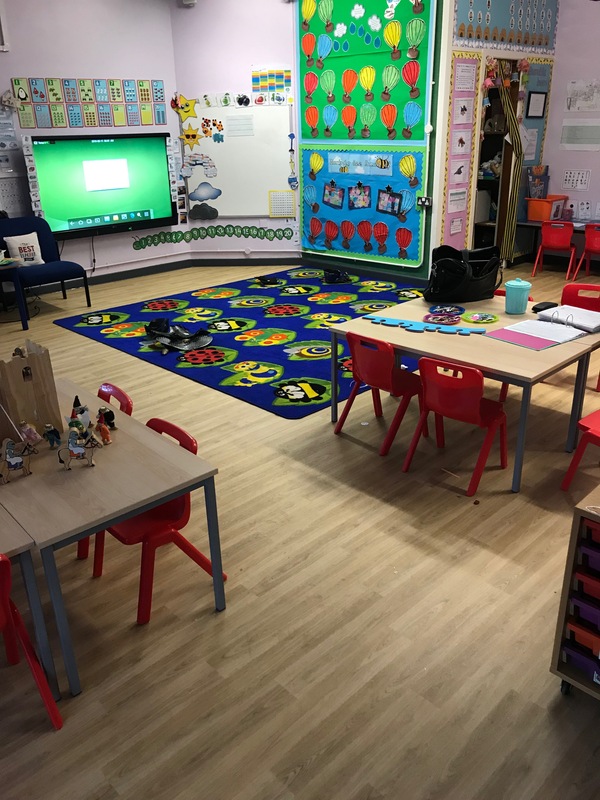 N&S Flooring have completed the installation of high quality commercial grade Carpet Tiles to the BMA Academy School in Fishponds, Bristol. 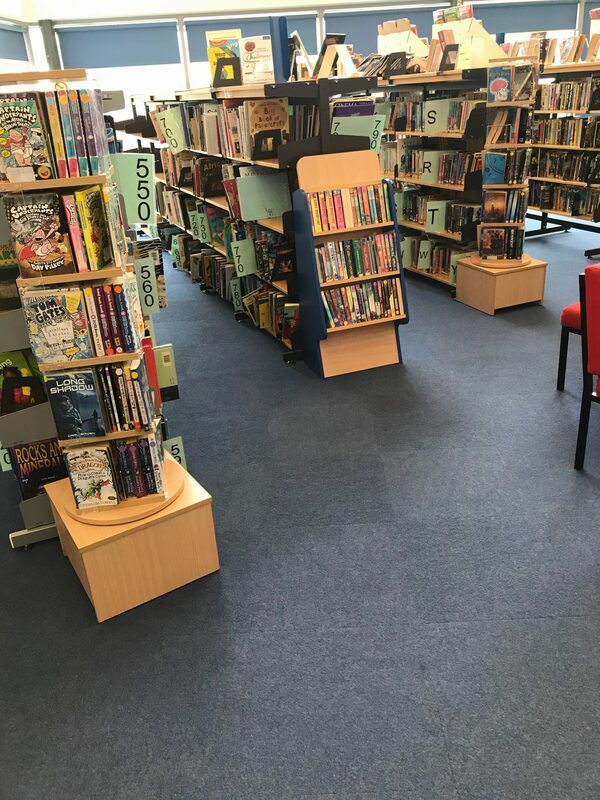 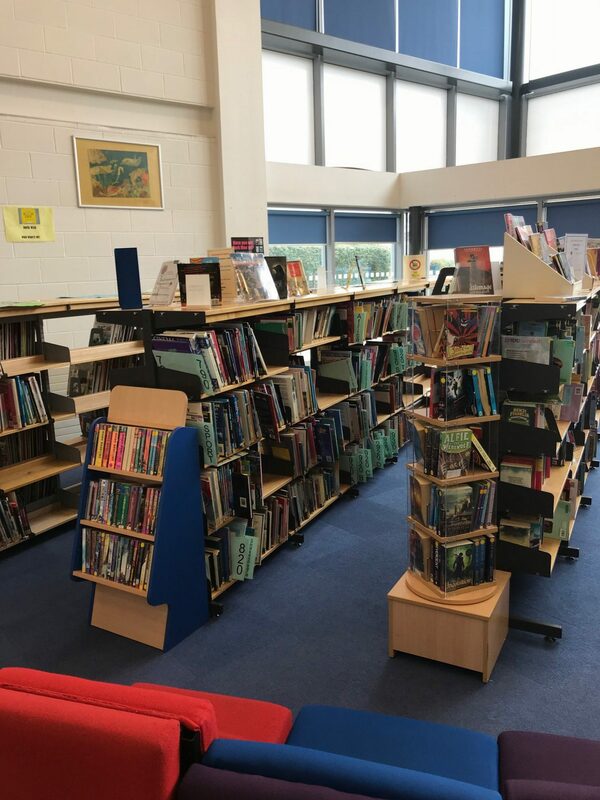 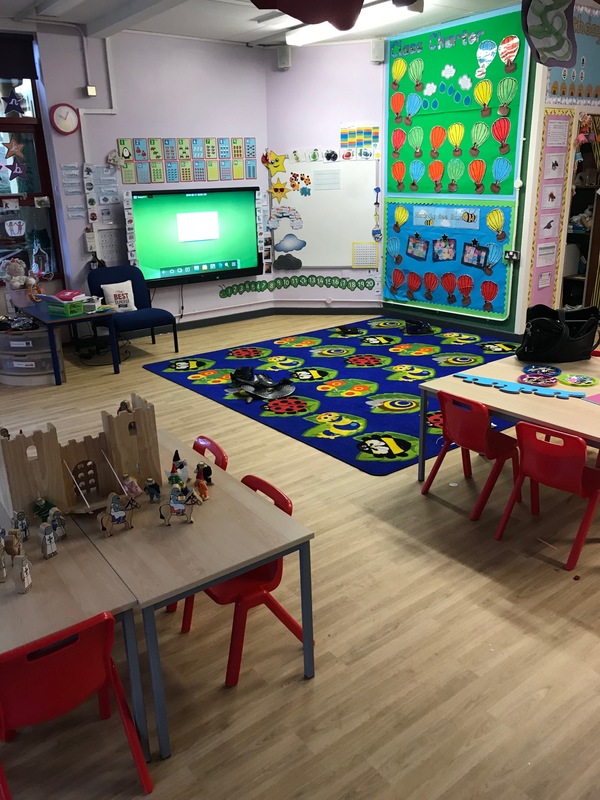 N&S Flooring completed the works during the school holiday period to minimise disruption to the staff and pupils at the school, existing carpet tiles were removed and recycled to avoid environmental impact. 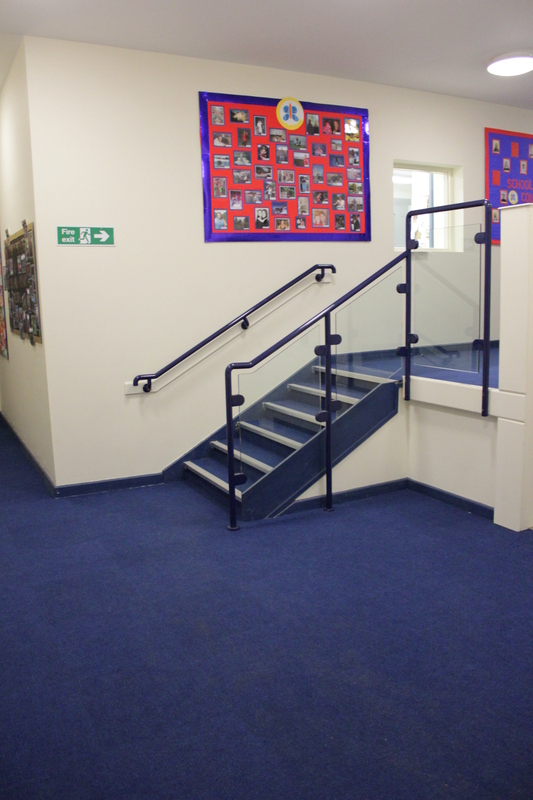 Works were completed to large area within 3 days and the areas were ready to use straight away. 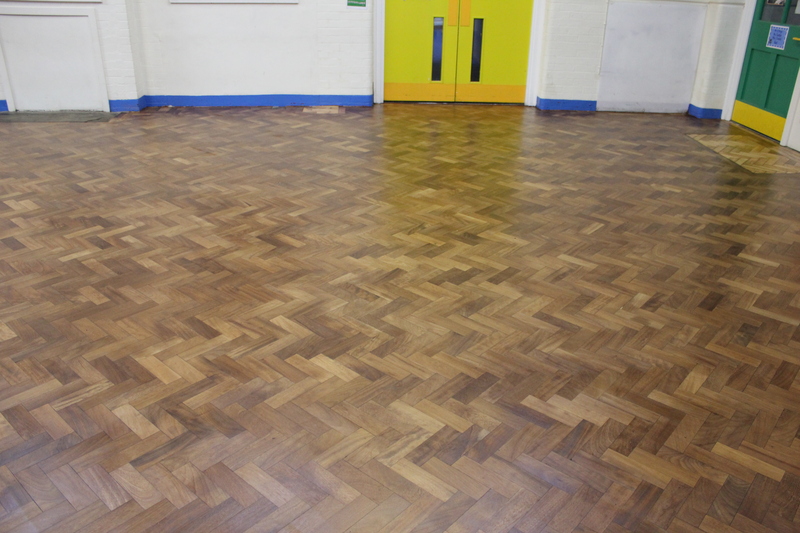 N&S Flooring Supplied & Installed new high quality Polysafe Wood FX Vinyl to West Town Lane Academy School Bristol. 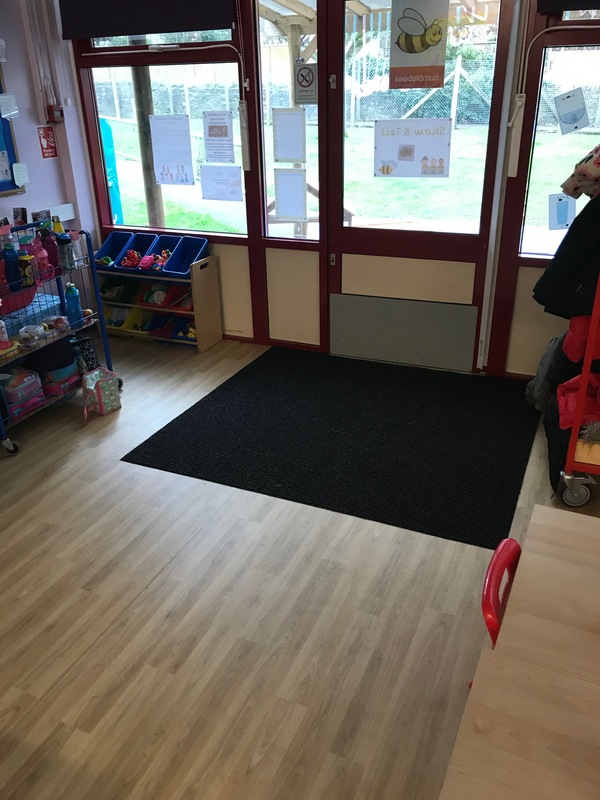 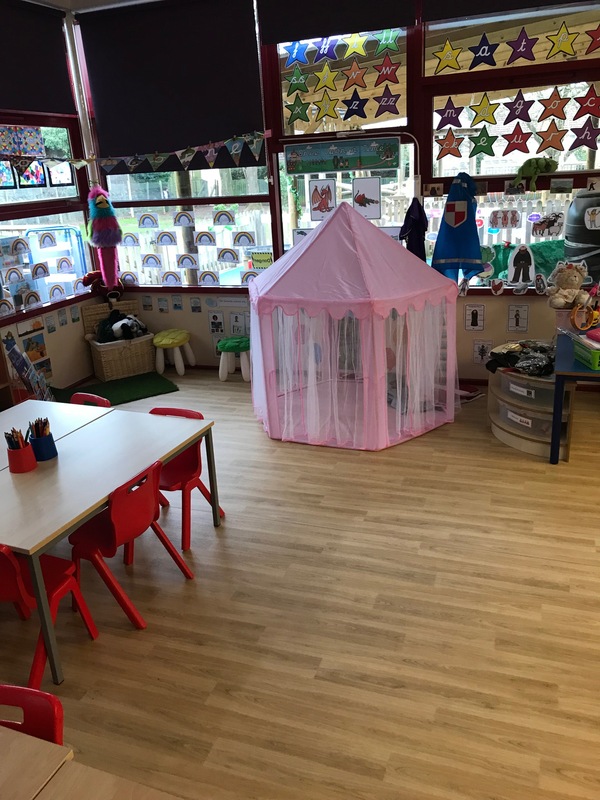 The Polysafe Slip Resistant Vinyl Flooring offers enhanced slip resistance, great non commercial styling giving a more comfortable domestic type feel to a classroom setting, paired with comfortable rugs for reading time this provides the school with the perfect flooring solution. 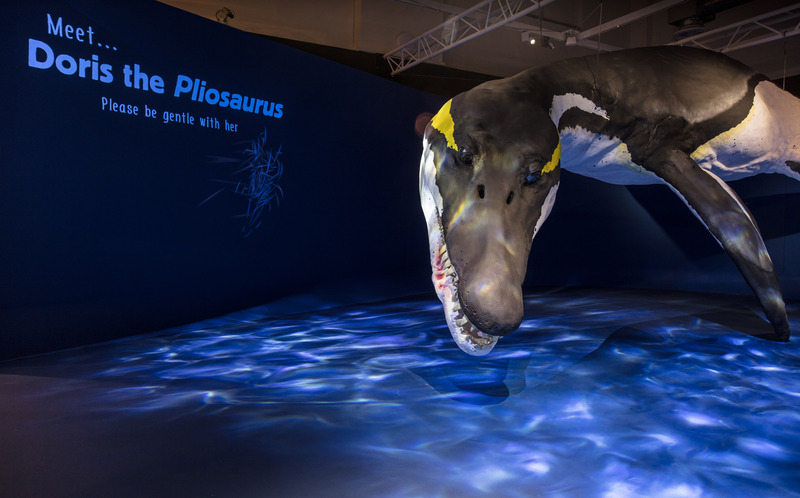 A deep blue plain vinyl flooring was required by Bristol Museum & Art Gallery for their new Dinosaur Exhibition, The Museum then projected a water effect onto the vinyl flooring which was also coved at the edges to create a seamless finish, giving the appearance, of an underwater scene, the vinyl flooring was installed on exhibition adhesive tape so as not to damage the wooden floors underneath. 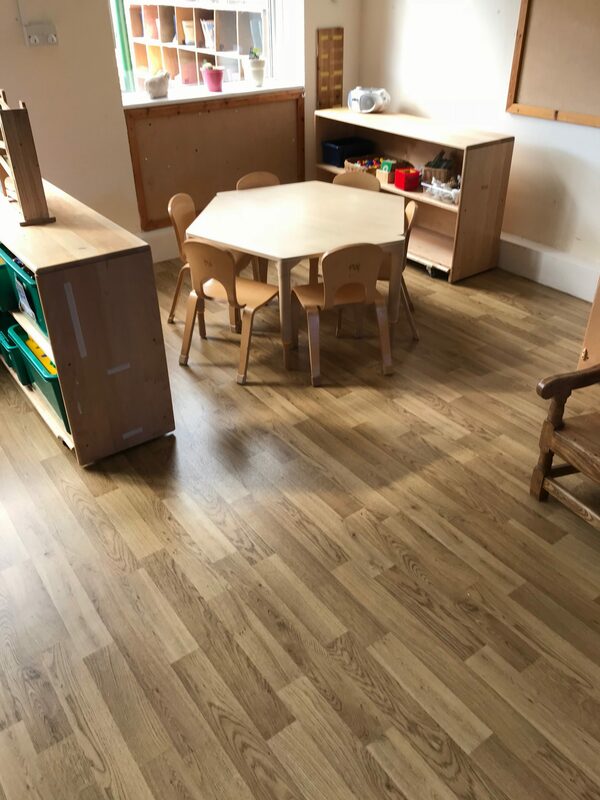 N&S Flooring Supplied & Installed new high quality Polysafe Wood FX Acoustic Vinyl to Illminster Avenue Specialist Nursery School Bristol. 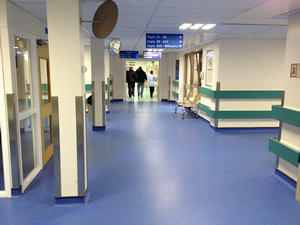 The vinyl flooring was selected to be easy to clean and maintain, to be cost effective and durable, and great looking! 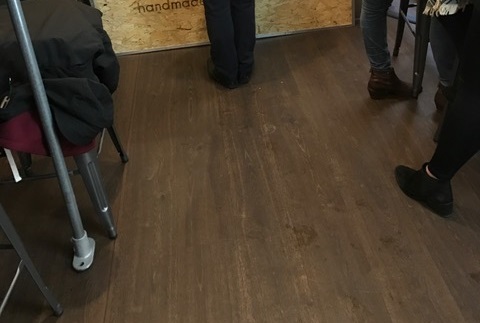 the wood effect gives a less commercial looking floor, still commercially rated its sure to last and look great for years to come. 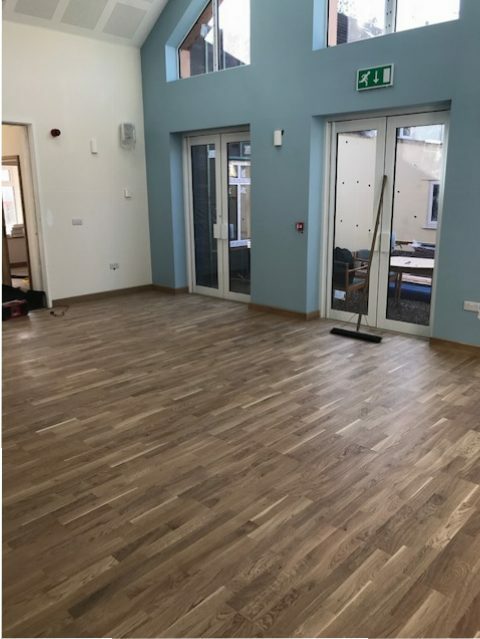 N&S Flooring Supplied & Installed new high quality Norske Engineered Wood Flooring, To a newly refurbished church hall in Bristol, The Norske Oak Flooring was supplied by Oak Flooring Direct Limited offering a cost effective wood flooring solution for the busy multi use area. 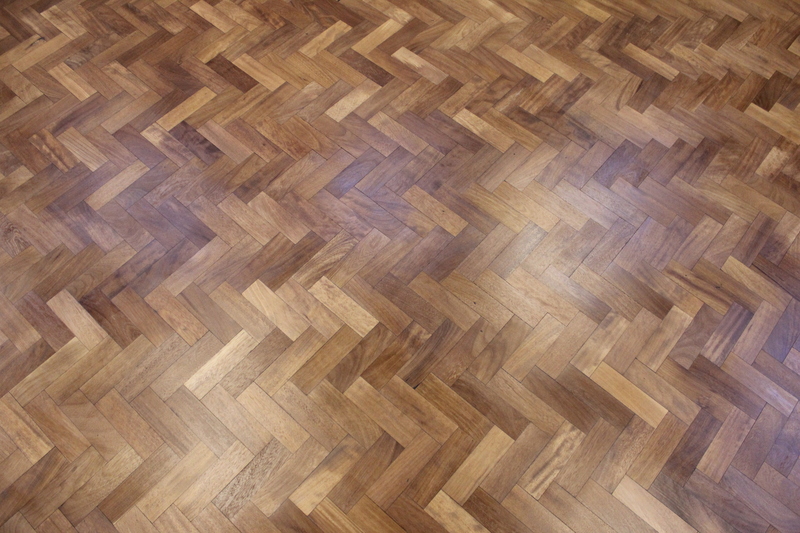 The Norske Oak Flooring is also compatible with the buildings underfloor heating systems and is pre-finished to offer a ready to use durable flooring solution. 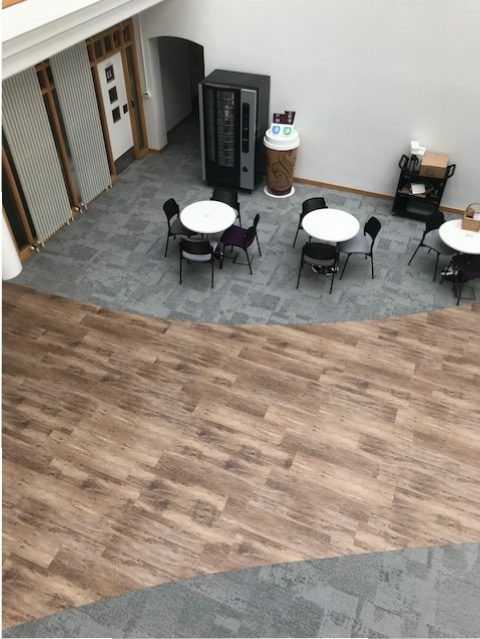 Milliken Nordic Stories Carpet Tiles & Karndean Loose Lay Vinyl Tiles, were installed by N&S Flooring to a prestigious office building in Portishead Bristol, The main atrium areas were treated to new floor coverings. 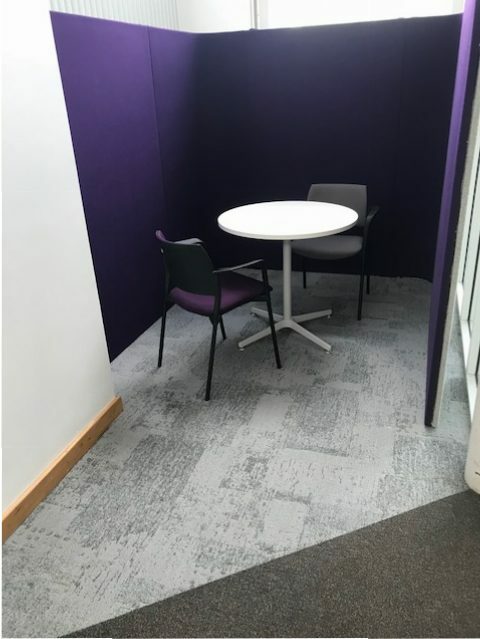 a mixture of soft and hard coverings were used to ensure that the acoustics within the area worked well. 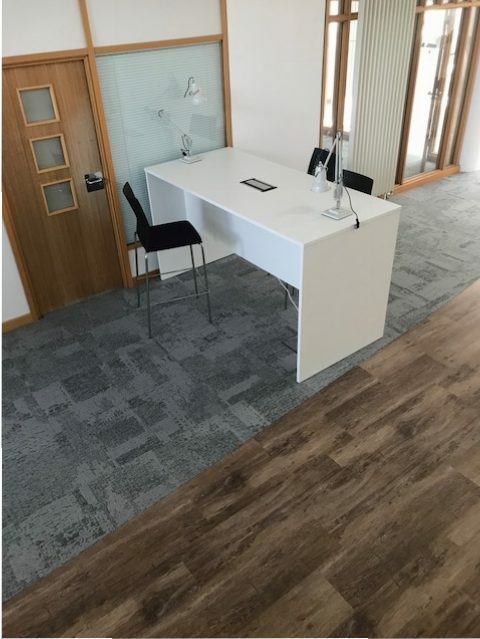 The busy office environment has been transformed in less than a week all with stunning results. 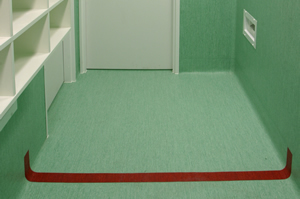 New flooring has been installed at Horfield Prison Bristol, The Vinney Green Secure Unit Emersons Green, & Bridgend Prison Wales. 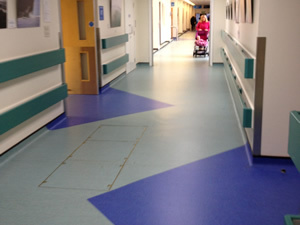 Floor coverings & products from Polyflor, Altro, Milliken, & Gradus have been installed with great success. 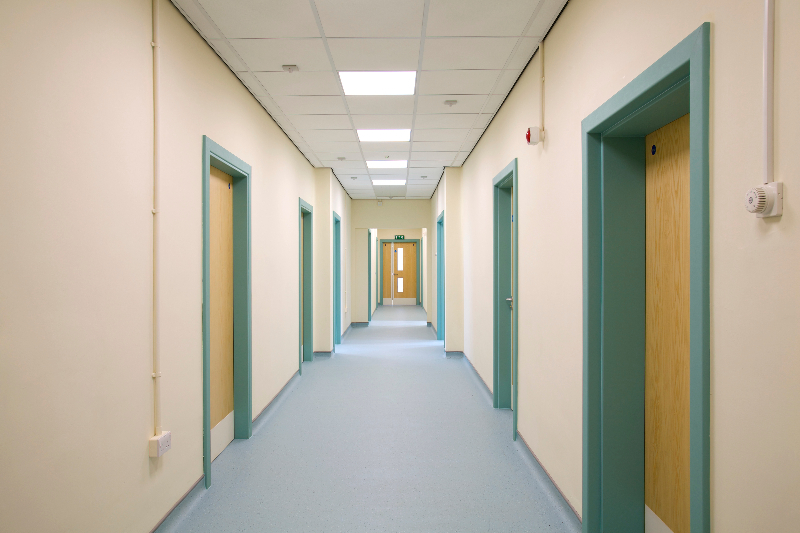 N&S Flooring operatives are Security Cleared, Police Vetted & CSCS qualified all ready to work in the most challenging environments. 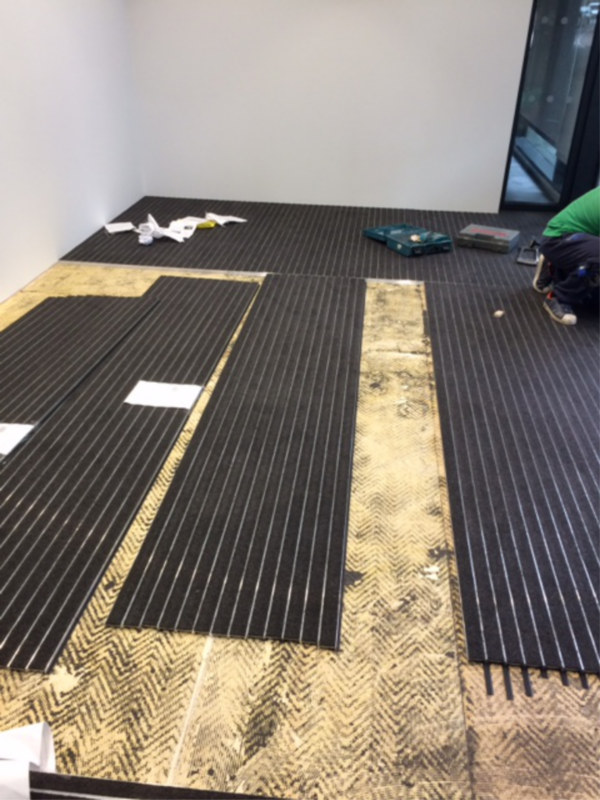 N&S Flooring Bristol has successfully installed new floor coverings at Bristol Airport. 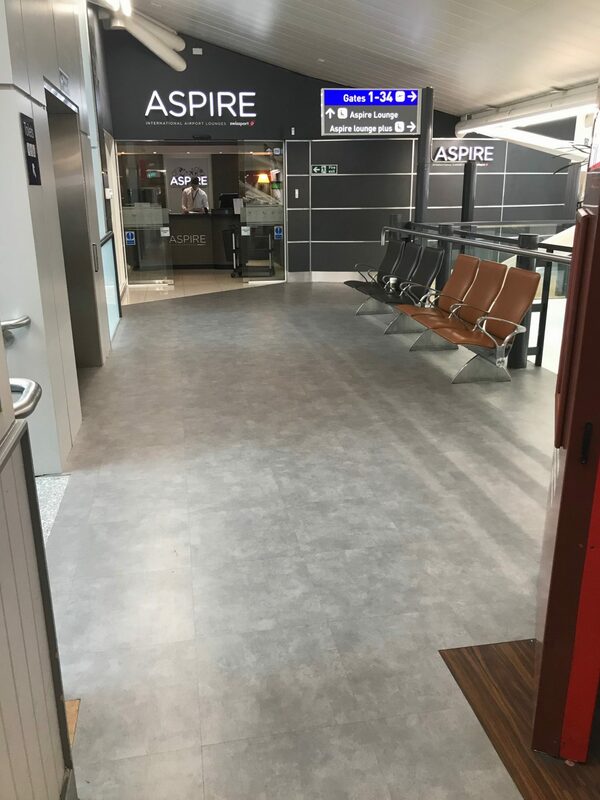 High quality commercial flooring Forbo, Allura Tiles & Coral Barrier Matting were selected to cope with the extremely high foot traffic areas at the busy Airport. 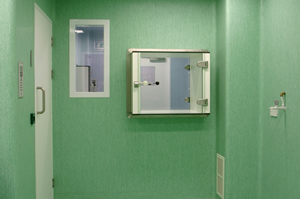 Works were completed out of hours to accommodate the requirements of the client. 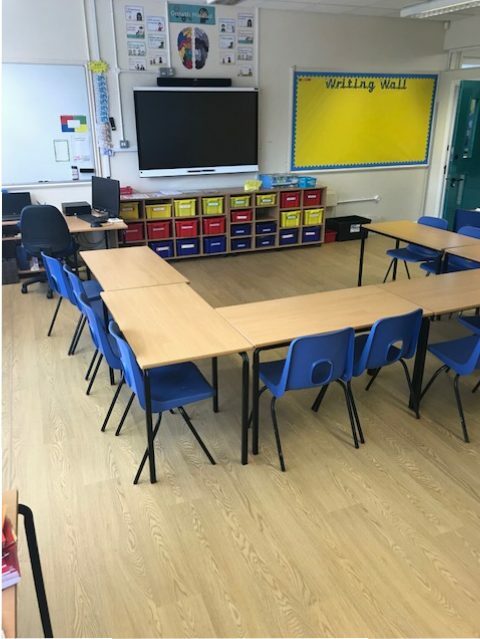 N&S Flooring Bristol have successfully installed Polysafe Wood FX vinyl flooring to classroom, cloakroom, corridor, office and stairs at Fairfurlong school. 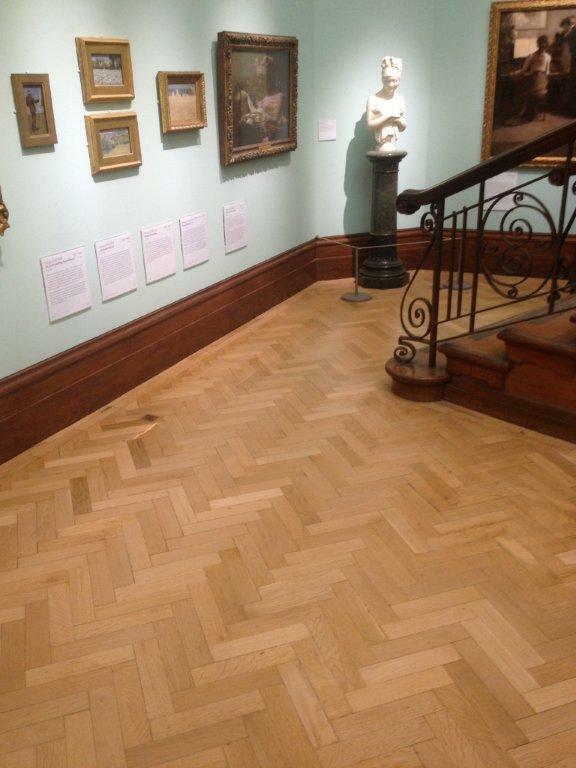 Existing floor coverings were removed and floors were prepare with an epoxy damp proof membrane and moisture tolerant latex smoothing compound. 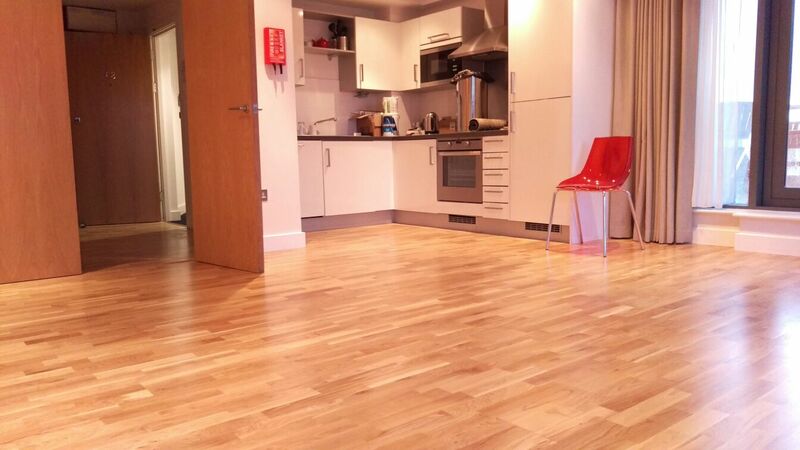 Polysafe wood fx vinyl offers a warm looking contemporary floor which is cost effective and easy to clean. 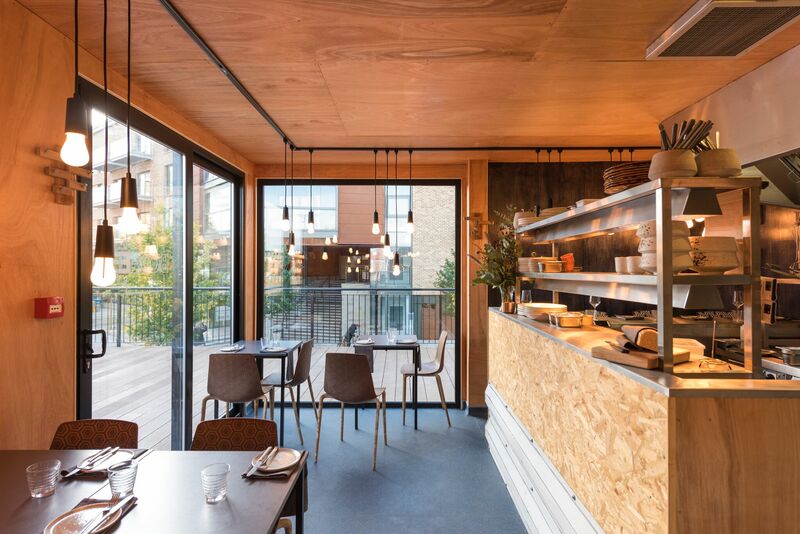 Working with Elliott and Tessa Lidstone 'Box E' is an exciting new restaurant in the Whapping Wharf Cargo development Bristol, Consisting of converted shipping containers welded together to create new shops and restaurants, N&S have worked with several companies to provide the floor finishes for this project. 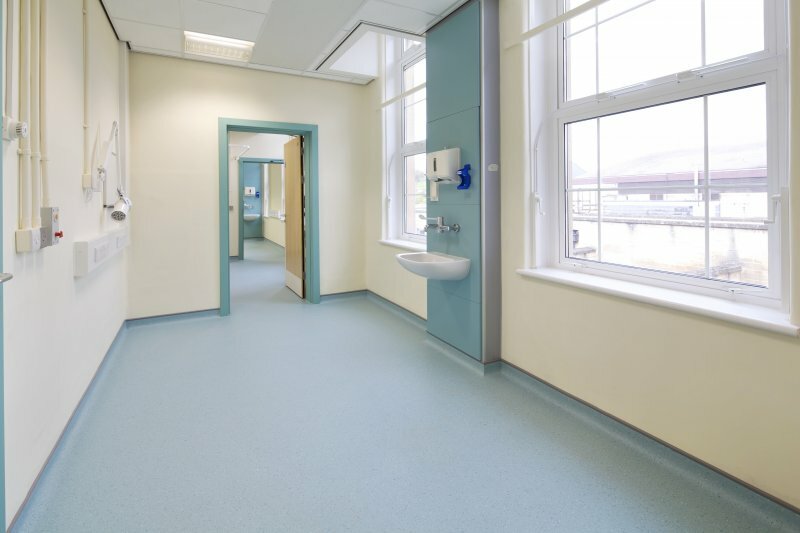 Altro VM20 was selected for its slip resistant properties, affordability and great range of colours, N&S formed integral coved skirting details with welded joints to make cleaning and easy operation. 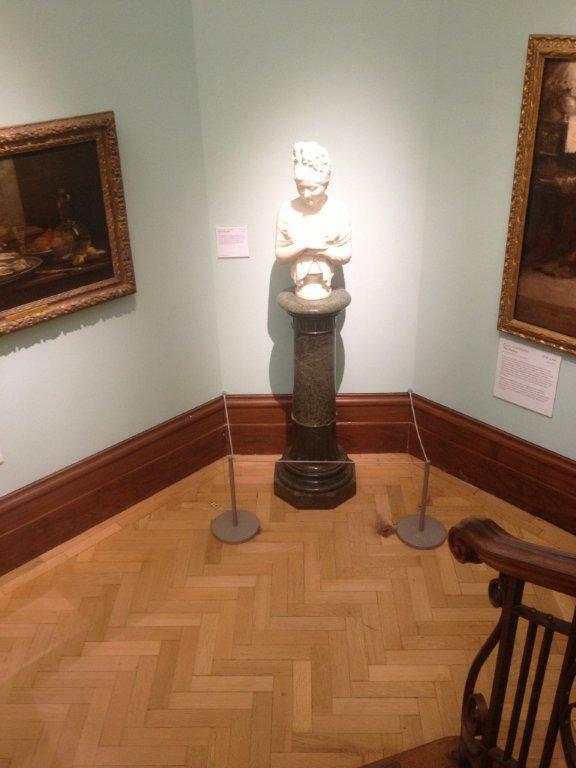 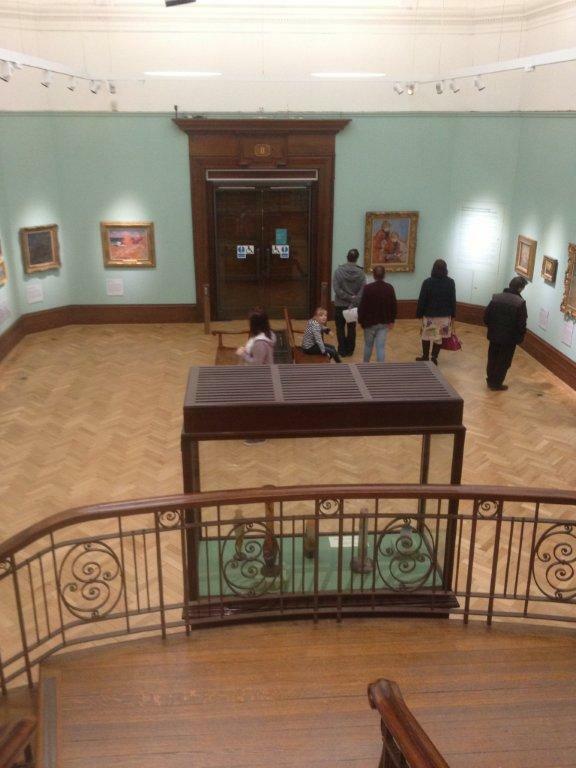 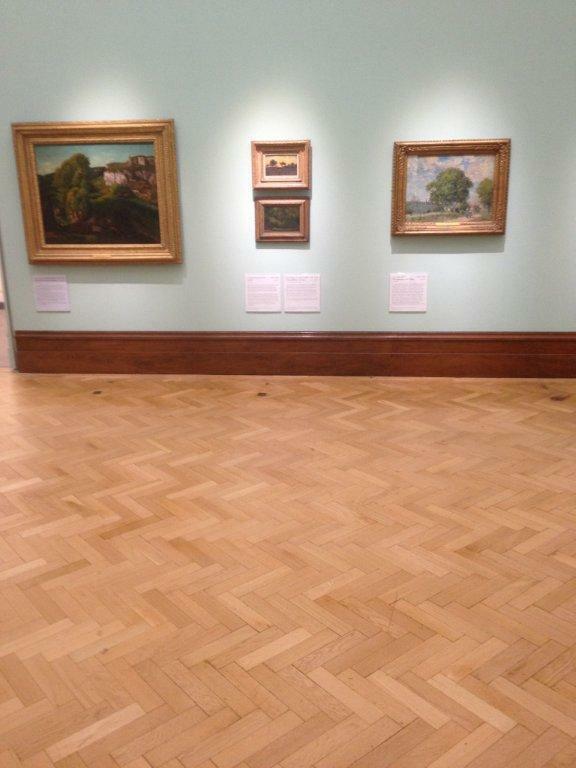 N&S Flooring refurbished the existing hardwood floors to the gallery spaces of Bristol Museum, carefully sanding back and applying 3 coats Bona Traffic HD floor seal, buffing between coats as required. 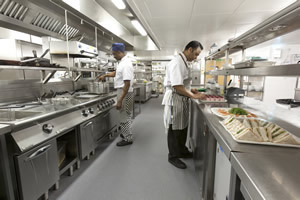 We used Hepa filtered Vacuum extraction to minimise dust. 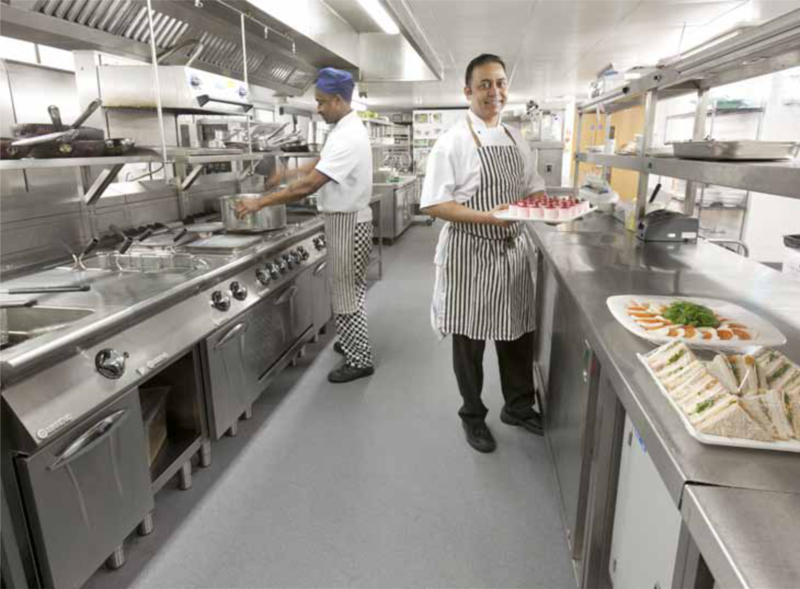 The busy Kitchen at the Radisson Blu Hotel Broad Quay Bristol demanded the most durable slip resistant vinyl flooring with the best performance. 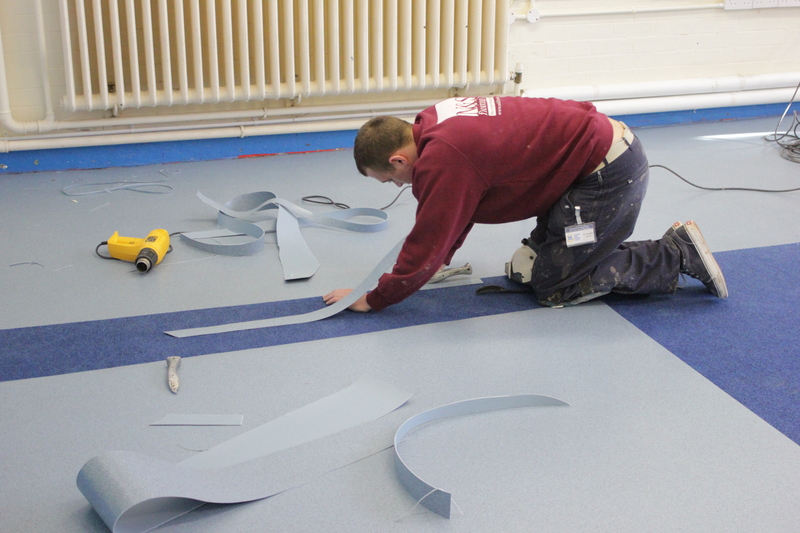 N&S worked closely with Altro Floors to put together a specification for the ultra tough Altro Stronghold 30 Vinyl, Combined with Altro Proof Damp Proof Membrane & Altrofix 19 2 Part Epoxy Adhesive, all complete with heat welded joints and integral coved skirting details to form a water tight finish. 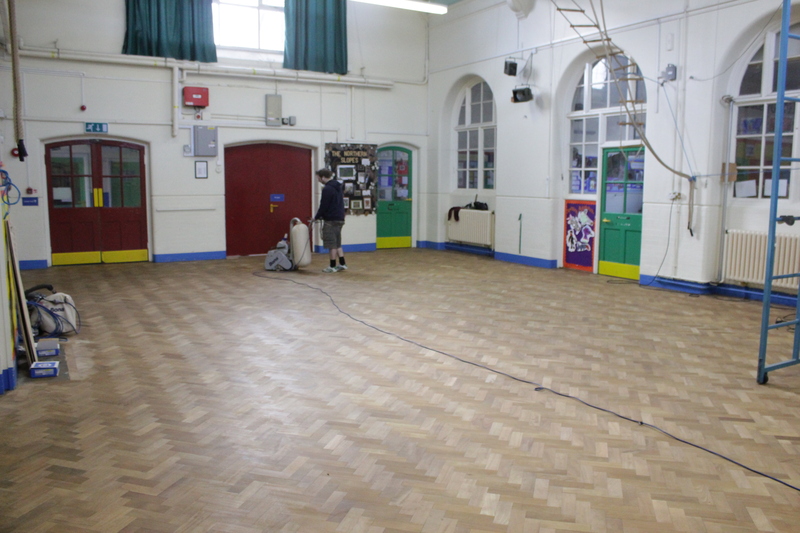 N&S Flooring has been working with Schools since 1967! 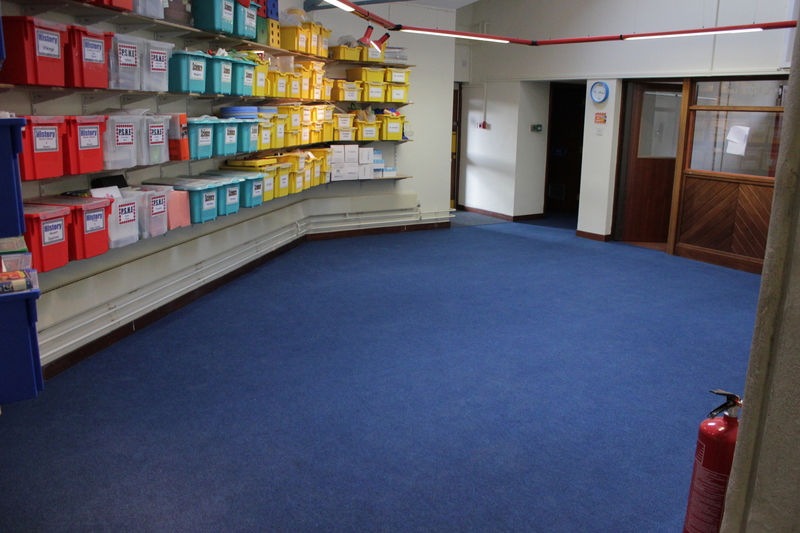 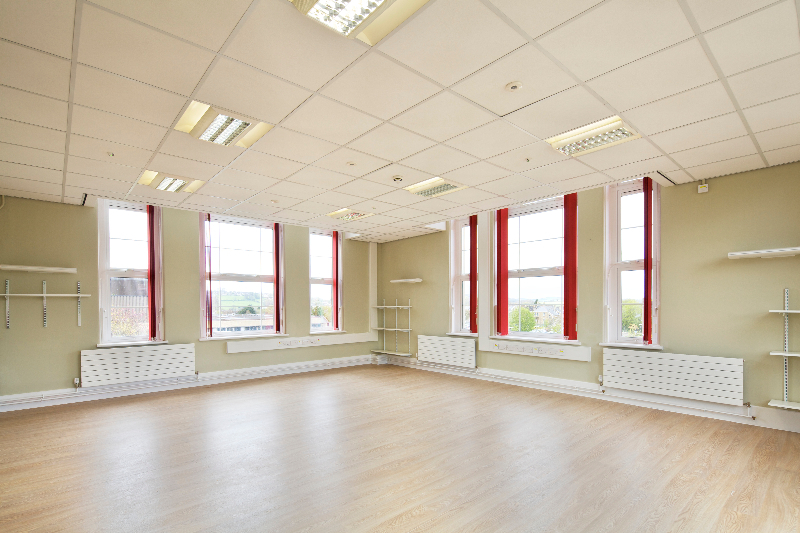 with a vast amount of experience in all types of School floor coverings, From the refurbishment of Wooden floors to the installation of new Carpets, Carpet Tiles, and Vinyl Flooring of all types, N&S offer a FREE measuring and sampling service, All staff are NCRB checked & Police vetted for your peace of mind. 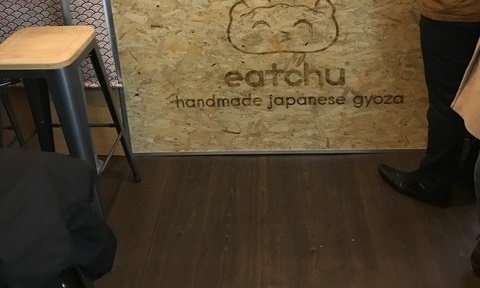 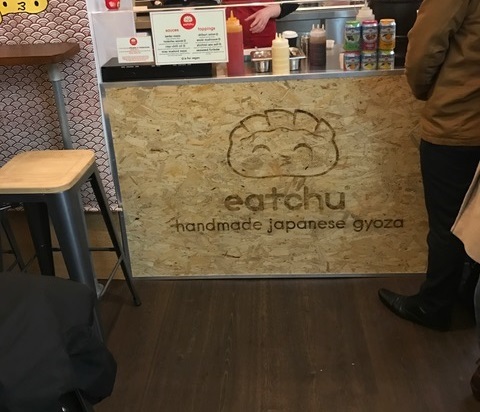 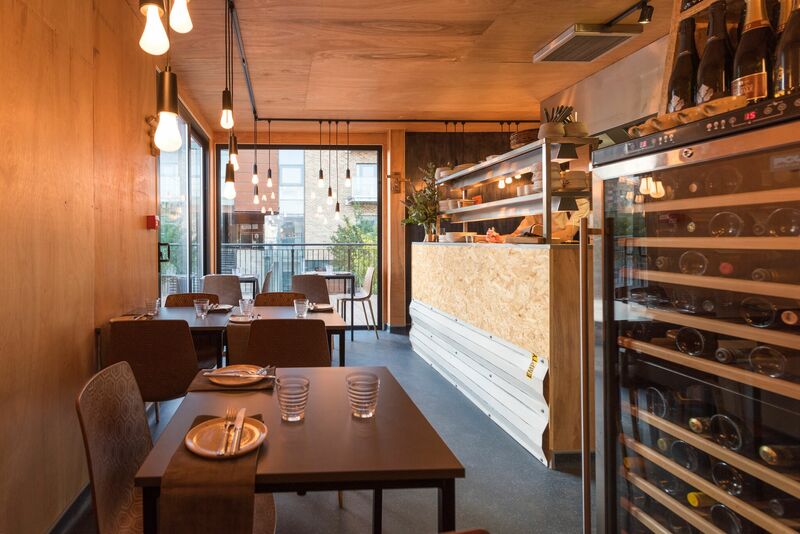 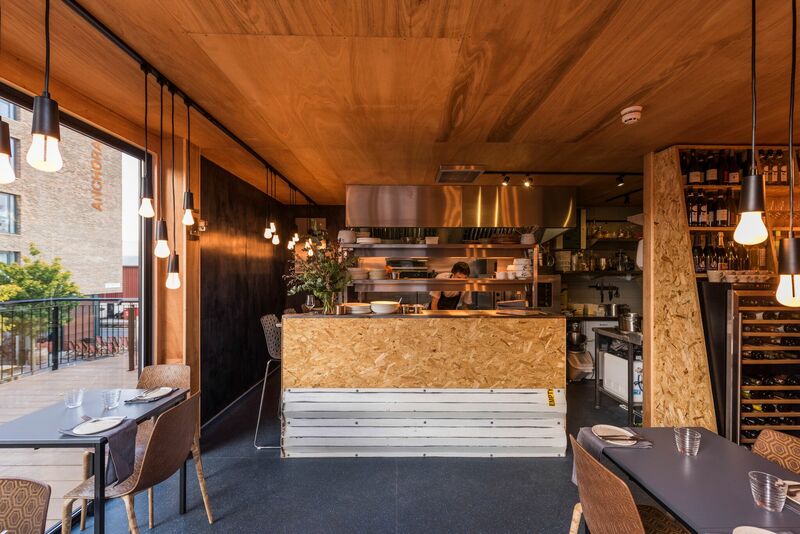 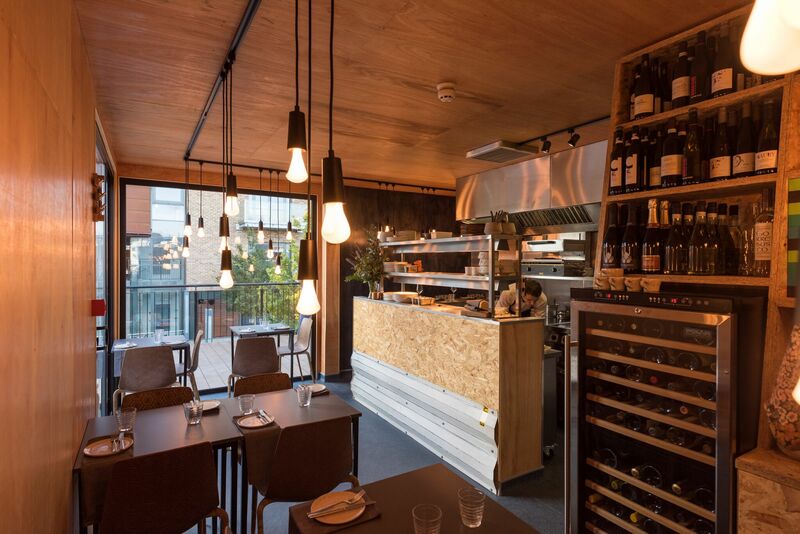 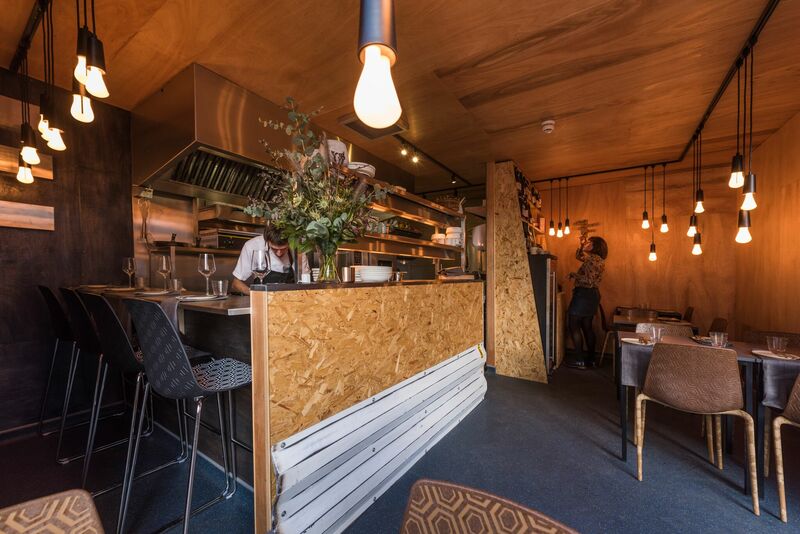 N&S are Also approved by Bristol City Council, BANES, South Glos' Council, North Somerset Council plus many more..
N&S Flooring were chosen to install Polyflor Commercial Vinyl Flooring to the new Eatchu Restaurant at St Nicholas Market, Bristol. 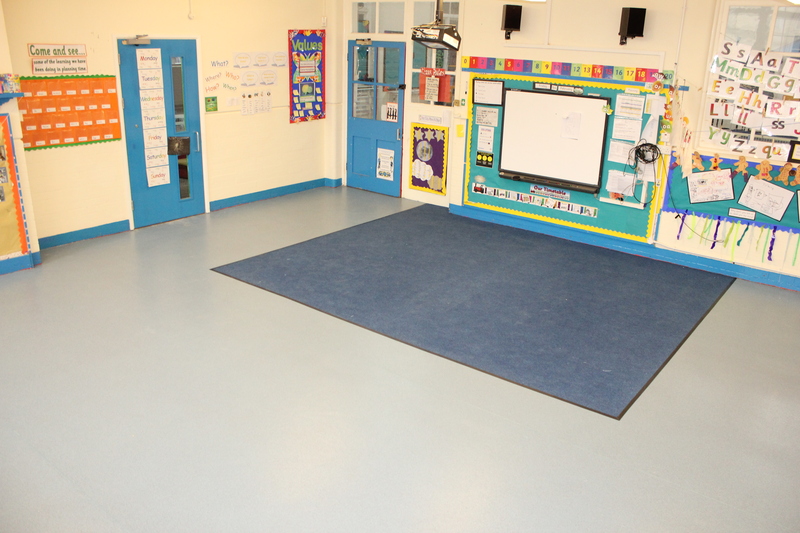 The Polyflor vinyl was selected for affordability and its slip resistant properties. 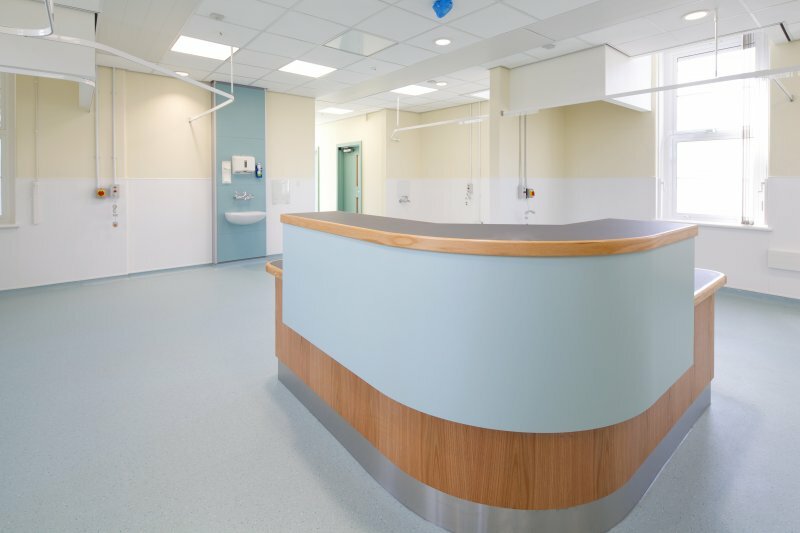 N&S Flooring has completed the successful sub-floor preparation and installation of over 700 m2 of Polyflor Pearlazzo and Forest FX commercial vinyl floor-coverings all to the Dermatology Department at the Royal United Hospital in Bath. 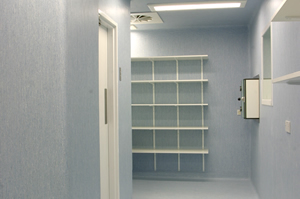 Works were completed in time and on budget and to the highest standards. 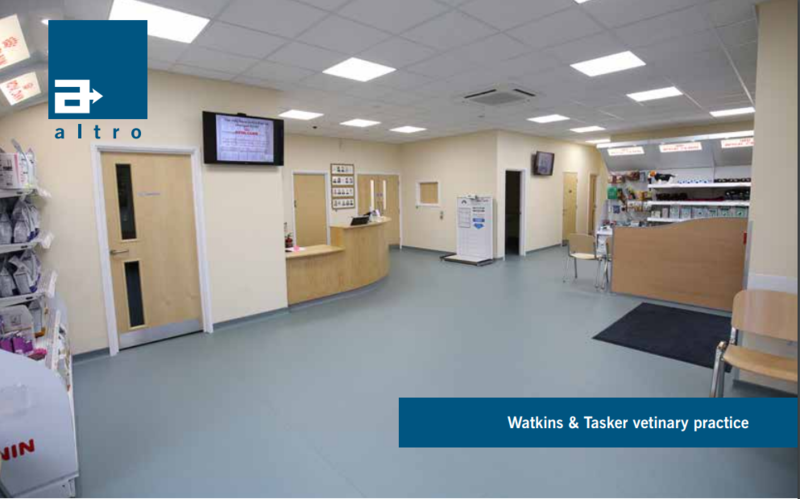 Due to expansion Watkins & Tasker Vets relocated to a larger premises, the existing floors were damp, with existing loose floor paint. 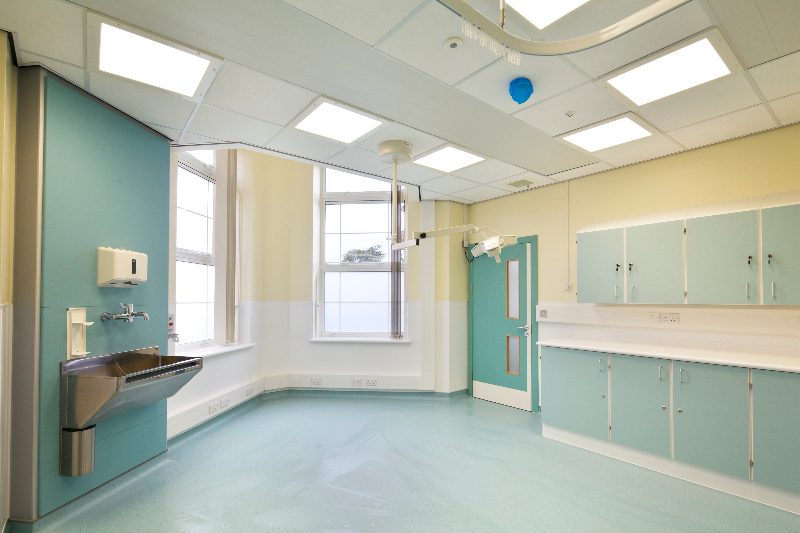 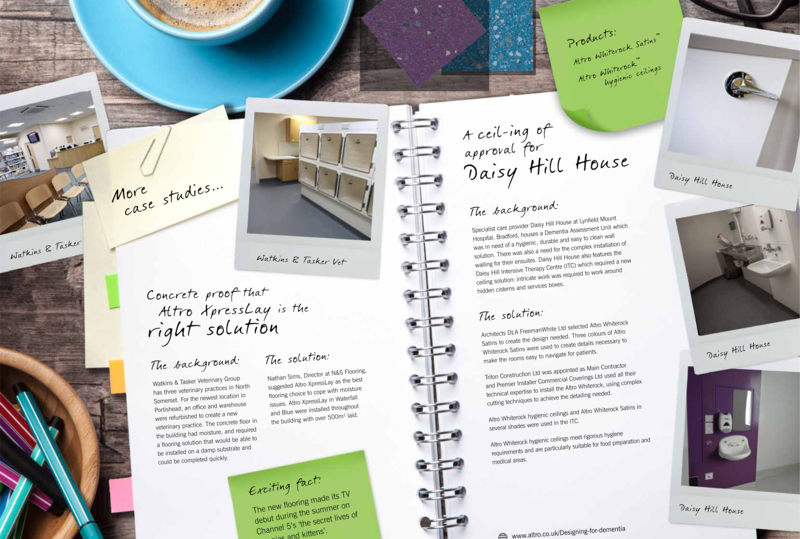 N&S Flooring worked closely with Altro to specify a flooring suitable for vets. 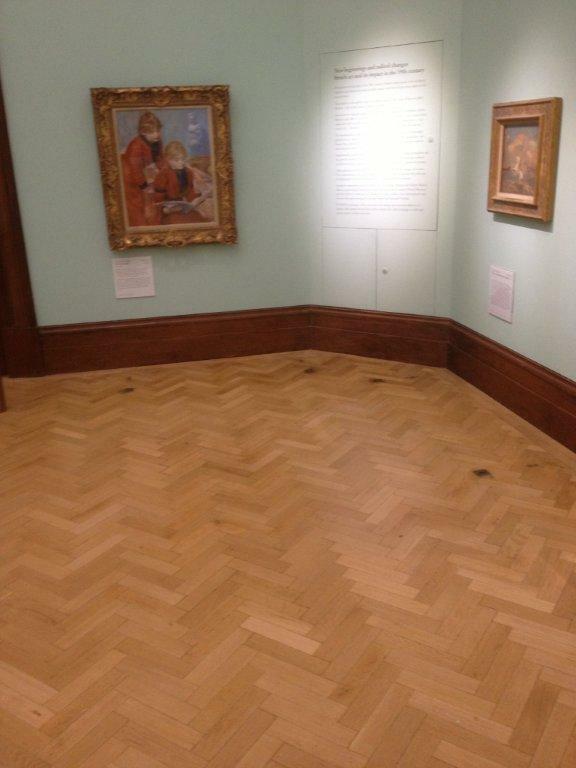 N&S completed specialist surface preparation works to remove old loose floor paint, followed by an application of Ardex NA moisture tolerant latex smoothing compound & Altro Expresslay vinyl complete with integral coved skirting details, all providing a commercial grade installation that's durable & easy to clean and maintain. 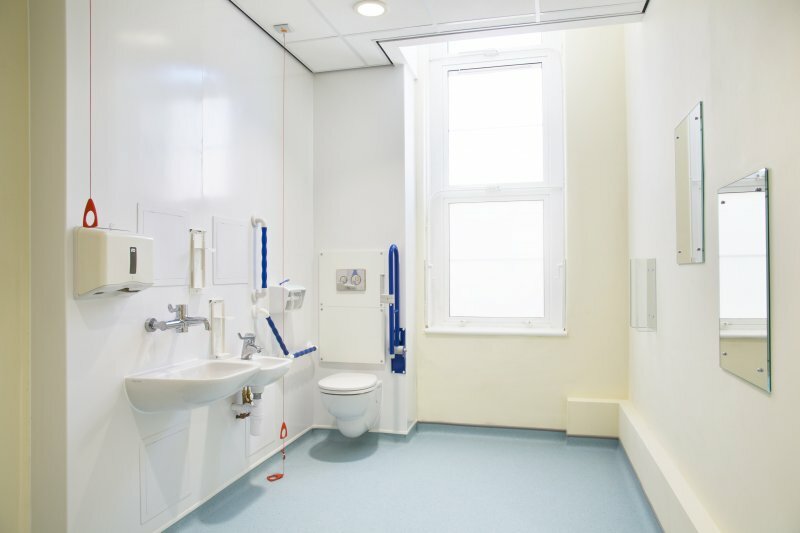 This installation has also been featured in the latest Altro Newsletter! 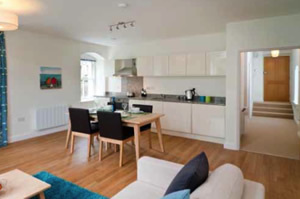 N&S Flooring have been Chosen by a major luxury apartment provider. 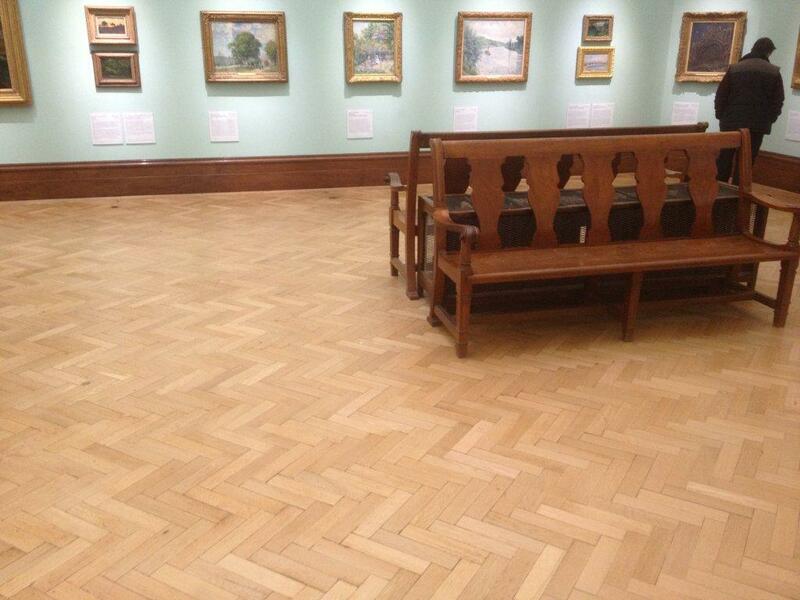 N&S Flooring worked closely with Oak Flooring Direct to source a high quality engineered oak floor. 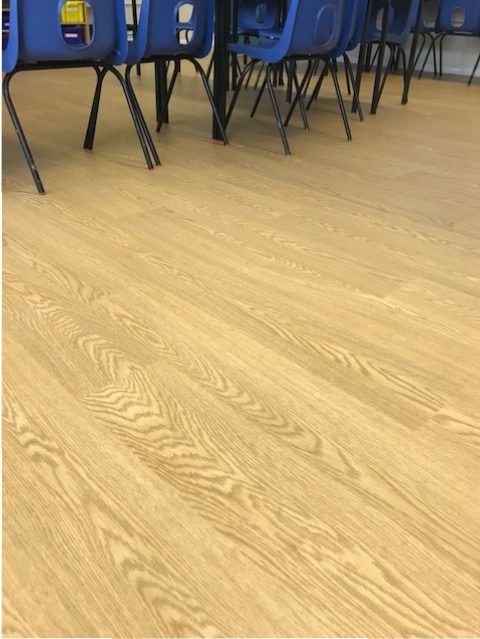 The stunning Norske Oak Verberg was selected as it hit the budget requirements and offered a 30 year warranty, all perfect for the clients requirements. 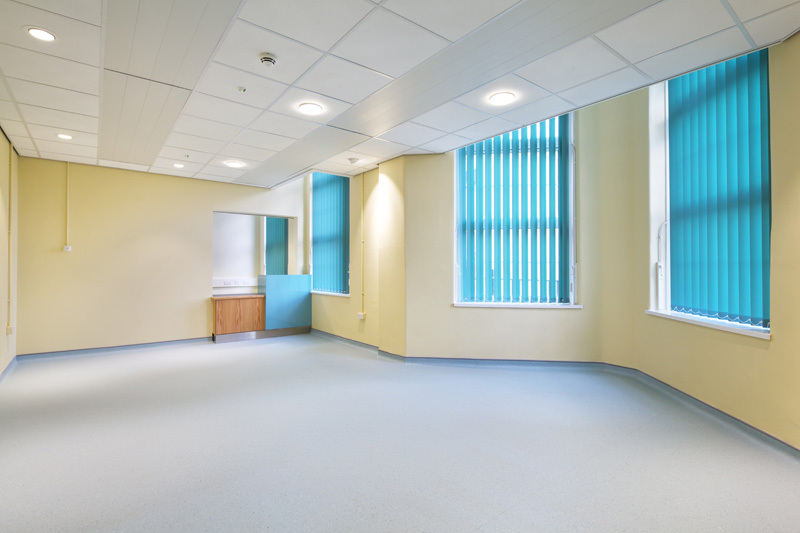 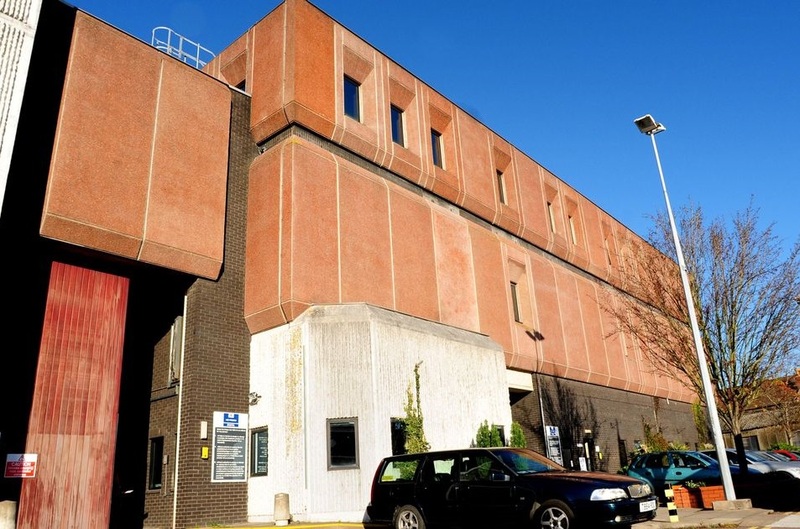 N&S were able to complete the removal of existing coverings and safe disposal of waste, the works were all completed in time for new tenants to move straight in. 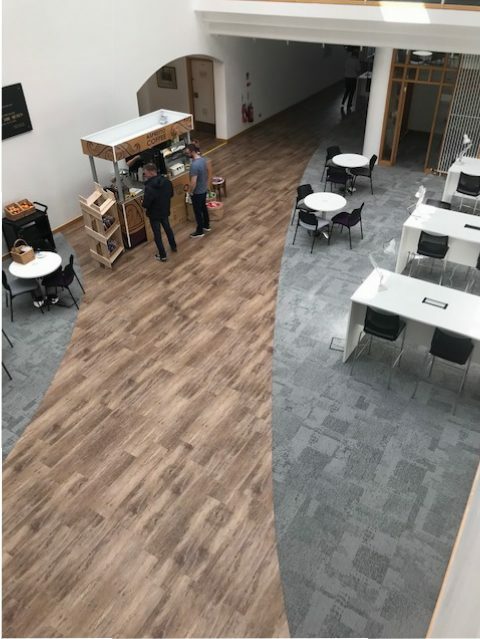 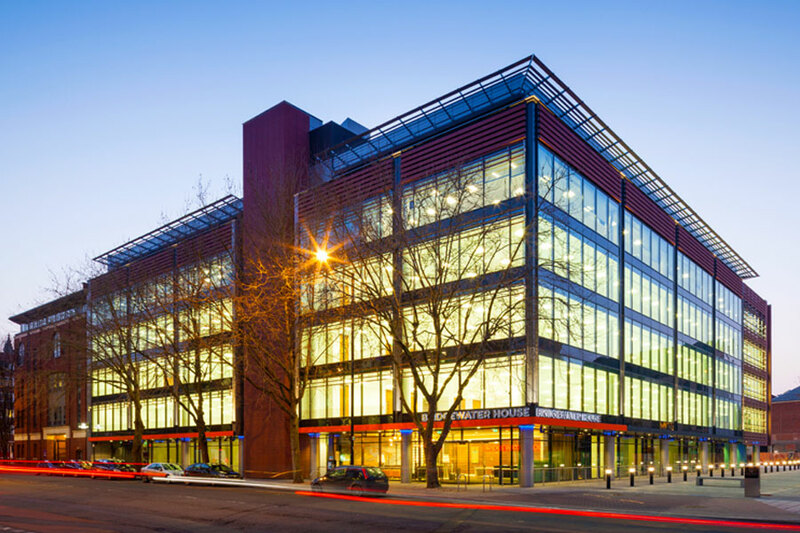 N&S Flooring Bristol Limited in partnership with Bray & Slaughter Contractors, have provided a Primary Barrier Matting Solution for the entrance at the stunning Bridgewater House in central Bristol, now occupied by EDF Energy ready for the new Hinkley Point Project. 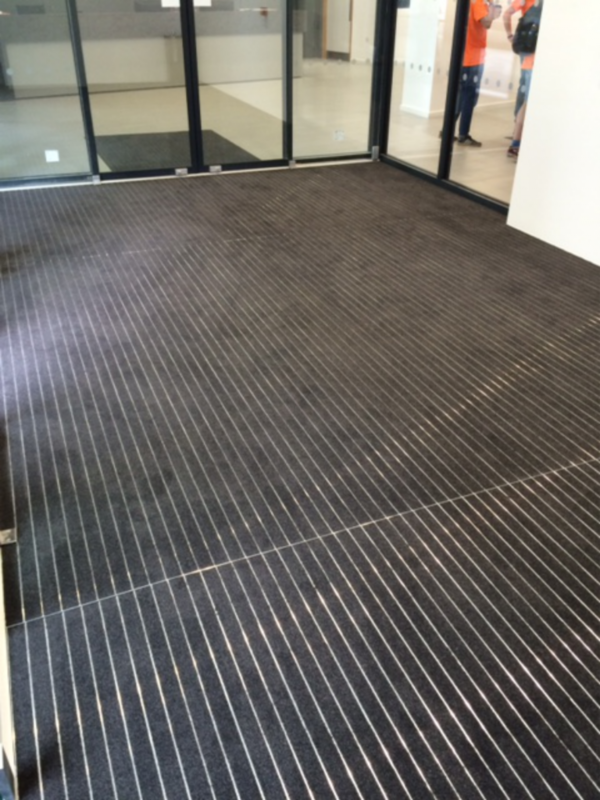 N&S Flooring provided several samples for client selection and the Heavy Commercial Grade Gradus Esplanade Barrier Matting product was selected for its attractive appearance, durability and affordability. 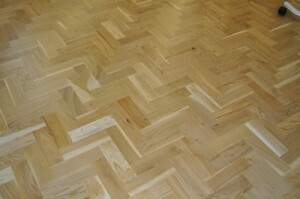 With Amtico Wood Effect Flooring and Cavalier Carpets Being installed into the show flat area. 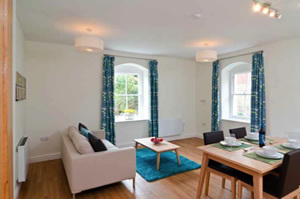 Ladymead House is a private high end residential development on Walcot Street in Bath. 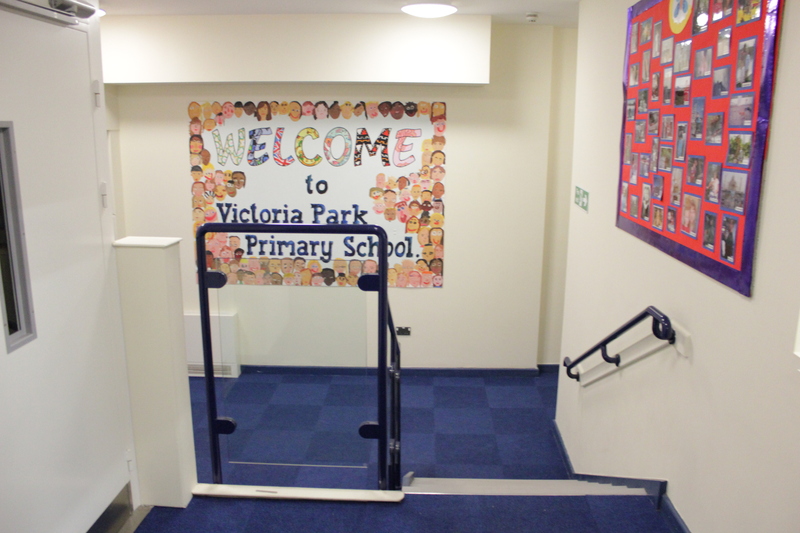 Works completed over the summer school holiday. 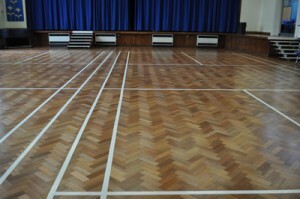 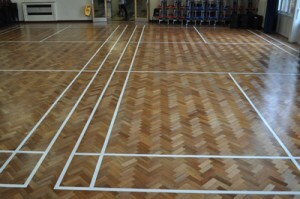 Consisting of sanding and refinishing existing hardwood floors, to main hall areas and the remarking of Badminton Courts. 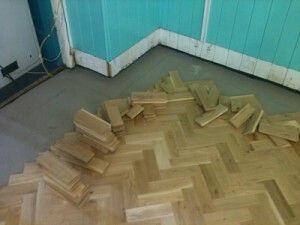 Works consisted of removing old existing pine block flooring, and disposing of waste materials. 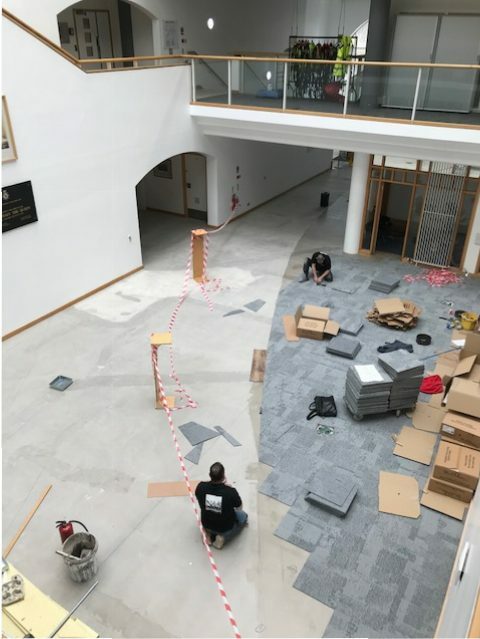 Preparing the old floor with new surface Damp Proof Membrane finish, and latex compound and the installation of new solid oak wood blocks laid Herringbone style. 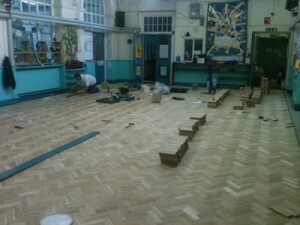 With the completed area being sanded and sealed on completion. 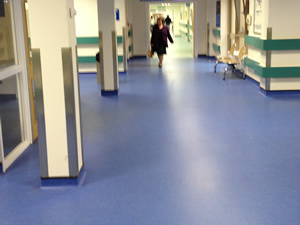 N&S Flooring has completed the successful Sub-floor Preparation and installation of over 1200 m2 of new Tarkett Optima Commercial vinyl Floorcoverings, All to the Main Circulation areas at the Royal United Hospital in Bath, works were completed at night to accommodate the requirements of the client. 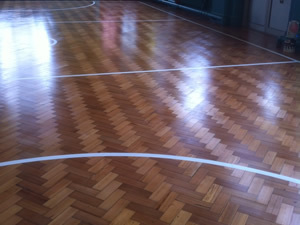 Complete refurbishment of Gym flooring with line markings consisting of repairing flood damaged wood blocks, sanding and resealing the complete area with the re-marking of one court.